It’s week 399 and there are 14 people around the table discussing what we’re all up to. There’s a substantial chunk of Little Printer and BERG Cloud work ongoing: tweaking, forecasting, serving, responding, reviewing, developing, testing, planning, prepping-for-Chinese-New-Year-ing, fixing, repairing, updating, deploying, designing-for-installing, and sprinting (which is resulting in some exciting things). Shiprock, the name for another Chaco project, is progressing well. Kachina is moving too and there are workshops for new clients in the offing and the calendar. There’s a lovely internal project which it has been deemed appropriate to name ‘Kemp’ and that’s going to be making good use of Joe, Nick, Neil and my time prototyping. 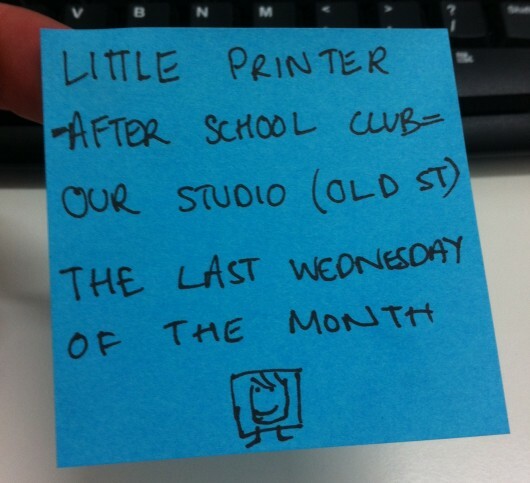 The search for a new studio space continues, one in which it’ll be possible to continue running the Little Printer after school club. In other news, Joe’s taken temporary custody of 2 hamsters, which Helen said appeared to her in canine form in a dream. I took comprehensive notes at All Hands on Tuesday, in order to write this. But my laptop had a catastrophic failure mid-week, and I had to blow away the drive and reinstall everything. I’m pretty good with back-ups, and I keep pretty much everything in Dropbox or in some cloud or another. But I had about two and a half un-filed documents that I lost. So, yeah. It seems quieter than we’re used to in the studio. December ended with a flurry, and a trillion brilliant contractors. It was crowded. 2013 has begun with a more intense focus on Little Printer and the BERG Cloud operating system, and that means it’s mainly just the core group in the room. I’m loving it, though it took a week or two for me to get used to the tempo change. Less like a sprint, and more like a hike. I tell you what’s wonderful, and that’s the feeling that everything we do is building on this platform for Web-powered things that we’ve created, and it slowly but surely gets better and better. Almost there. Still a spreadsheet or two to do. One of the consequences is that we have new criteria to choose our client collaborations. We’re prioritising looking for and taking work that helps build BERG Cloud, either directly, or by helping us build expertise in particular tech or areas of UX. That’s not to say we’re *only* working with clients on platform projects. Last week, three of us were out workshopping on a hardware accessory. This week, it’s product invention for mobile, and some hardware prototyping (both slightly longer projects). And I guess it’s the workshops at client offices, and the crazy number of meetings that have contributed to the mellow vibe. I spent about 90% of my time either talking face to face, or on my own thinking things out with whiteboards and post-its. A lot of it is that business plan I mentioned. Such an incredible week to be able to spend most of it letting ideas about the future turn over in my head. So helpful. I’m very happy to announce that Adam Sven Johnson has joined us at BERG to work on Little Printer and BERG Cloud. After our successful Little Printer launch in December, this year is going to be filled with interesting challenges around building out and scaling our infrastructure. 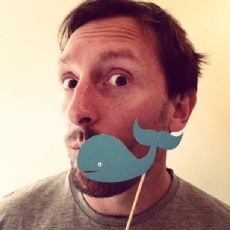 Adam brings a huge passion for the physical domain into that cloud infrastructure work. Before joining us, Adam employed his wide-ranging skills and knowledge at Art Finder and Reevoo where he worked on both the front and back-end code. He’s also the runaway winner when it comes to BERG employees with the largest number of Github repositories. In what is rapidly becoming a tradition for new developers starting here, Adam has already shipped live code affecting every BERG Cloud user within his first two weeks. Inside that short time, he’s got to grips with our codebase and unleashed his brilliantly analytical brain on a number of thorny issues that arose over the Christmas period. In fact, one of the underlying problems he discovered with MySQL was so obscure that he’s soon to be writing a entire separate post on the topic. With his feet firmly under the table, I’m delighted to be able to officially welcome him to BERG and look forward to all the exciting work we’ll do together in the future. A good variety in last week’s links! From Adam, Losing My Religion on a major scale rather than minor. Mostly works. 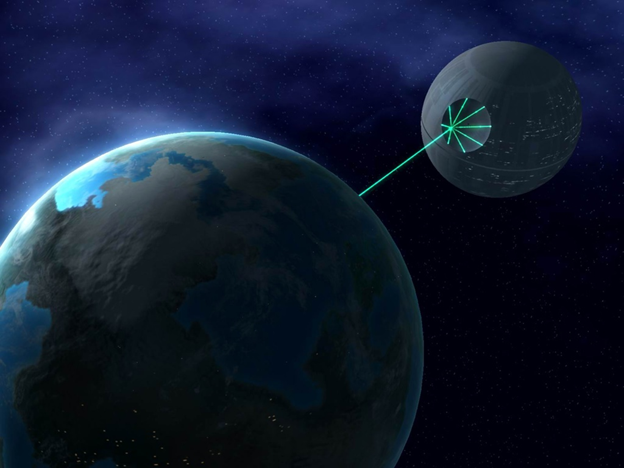 From Matt W, How much would it cost to build a deathstar? From Denise, Rudiments – the new tiny robots from Microsoft Research. 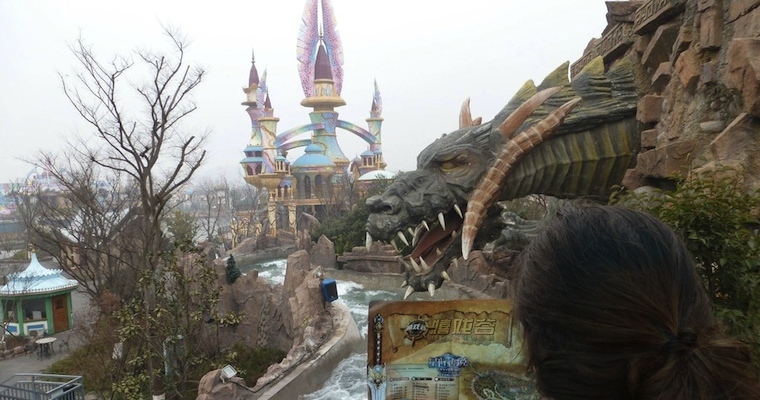 And finally, From Alex, the slightly incredible World of Warcraft theme park in China. I forgot to write my weeknotes last week, so a whole day before week 398 is due I’m going to attempt to redeem myself. Just imagine that today is in fact last week, and we’ll be fine. Last Wednesday the BERG Cloud / Little Printer team gathered at an undisclosed London location for a day of planning and roadmapping, to figure out what it is we’ll be doing this year. It was all very exciting and productive, but unfortunately I can’t tell you anything about it, so you’ll have to keep an eye on the BERG Cloud Blog and the BERG Cloud Twitter account to see what we have planned. Afterwards, as a mini celebration for shipping the first batch of Little Printers in December, we made some cocktails with Felix of the Manhattans Project, which was very very very good. Aside from planning meetings, Little Printer related work continues – Andy’s newly crowned ‘Little Printer Hospital’ kicked into action, Nick kept a keen eye on some ‘flat green lines on a graph’ as well as continuing to brief Adam on all things LP. Denise worked on some odds and ends, while Helen, Kari, Fraser & Simon continued to man customer services. There’s a lot going on aside from LP though, however I’m losing track of project codenames. Matt W, Mark and Joe were at a workshop for Logan for a couple of days. Neil, Andy and Joe worked on Kochina. We’re just about to jump into our first bi-weekly BERG Cloud planning meeting, so I must dash. In typical January style everyone’s a bit all over the place putting into action all the bits they’ve been thinking about over Christmas but settling down nicely. In random mood fashion there’s been a whole bunch of odd bits shared since we got back. My personal favourites are those shared by Denise. The first of which I can only imagine is a link to what she imagines people with iPhones get up to at the weekends followed by a link to a digital pencil microscope – that’s right – a HD Digital LED Microscope that looks like a pencil. On a slightly more surreal note Alex shared what it would look like if a whole bunch of fireflies appeared out of nowhere, max’d up their glowing power, and stormed towards each other to create a black hole. At least I think that’s what it is. From far off lands, Timo linked us to a short film entitled THE FUTURE OF CINEMA with Douglas Trumball followed up with a related article in which Jacob Kastrenakes points out that without realising it, in 24 frames-per-second films, ‘we’ve allowed ourselves to exist in an Impressionistic world of filmmaking’. – and a link for those not wanting to aggravate people when redesigning apps. Joe forwarded a link to Teenage Engineering’s new, and lovely, wireless speaker. Slightly bizarre that the majority of the comments at the bottom are discussing the title of the article but a nice thing nonetheless. 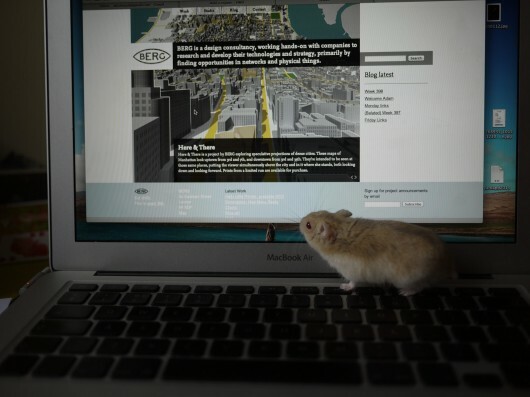 On a different subject entirely he also sent round a link to Streetview Explorer. An ‘old project that permits a new way to look upon Google’s visually arresting 3d flatland’. Matt Webb shared a video selection of some e-things at CES as well as a link about why the width of his face doesn’t matter. Andy, whilst using a hosepipe to suckle petrol from next door’s lorry, came across wireless device-to-device charging. Much more impressive. So here we are: the first blog post of 2013. This is my first time with the keys to the blog since coming back from maternity leave, which is a bit exciting and a bit daunting. It has been interesting coming back after being away for nine months. A lot changed in the time that I was away. I arrived back to a studio with about twice as many people in it as when I went away. Two of those additions were regular staff (Neil and Mark), the rest were contractors working on various projects that had been taken on while I was away. So not only were there a bunch of people around that I didn’t know, they were working on a lot of projects that I had no clue about. It was rather disorienting. This is BERG we’re talking about, though, so of course they were a bunch of really lovely people working on some amazingly interesting projects and doing a genius job of it. That’s pretty much the way things go around here. A lot of those projects wrapped up before Christmas so now we find ourselves in a bit of a lull period. Helen, Fraser and I are spending a lot of time on customer service for Little Printer including trying to track down Little Printers that never made it to their intended homes. We shipped 1,000 of them and the vast majority were delivered with no problem, but when you are relying on human beings to do the actual sorting and delivery of anything, it’s inevitable that there will be a few that will go AWOL. Thankfully most people have been remarkably understanding and patient about that fact, and we are doing our best to get replacement Little Printers out as quickly as possible. Just before the holidays we said goodbye to James Darling, and last week we said hello to Adam Johnson who has joined BERG as a software engineer. Nick put him right to work on a BERG Cloud bug which Adam had sorted in very short order. As for the rest of us… Alice is doing a fab job supporting Little Printer publication developers and also has her hands in Kachina, a new internet connected product that we’re working on with a client. Andy is trying to get to the bottom of some issues with Little Printer paper jams. Alex is working on various aspects of BERG Cloud as well. Denise is having a go at creating a Little Printer publication. Joe and Jack and doing classified new product development. Neil is recovering from what is either food poisoning or a really nasty stomach bug. Simon is trying to schedule a cocktail mixing workshop. (Seriously. He’s also doing his usual fab job of keeping projects running!) Mark is doing what he says on the tin and developing new consulting opportunities as well as keeping current consulting projects moving along. Matt Jones is doing a bit of sales and a bit of studio shepherding. Seven years ago, Matt Webb wrote a business plan for Schulze & Webb, the company that became BERG. 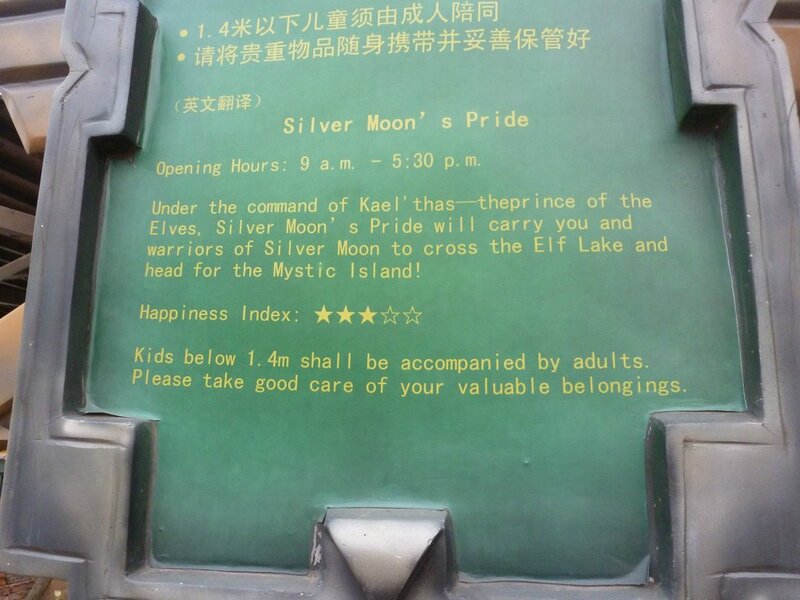 (You can see that actual business plan right here.) In it, the long term plan included making and selling our own products. With the shipping of Little Printer last month, we have now fallen off the edge of that business plan. So Matt has been doing a lot of thinking about the future of BERG and when I say a lot, I mean a LOT. He shared his mullings with us today, and his brain dump filled up three very large whiteboards. It’s a great story, but you’ll just have to stay tuned to see how that all turns out, I’m afraid. We hope you have a great 2013!